However, had a great drive in it at the weekend and now I'm thinking I can live with the foibles as the pay off is so good. The same combo of looks, smell and feel that I bought it for are still a lot of fun. I have the same thoughts. At times I long for a wafty Merc W140 for long journeys and even the speed bump joint around my area. Then I catch a glimpse of the 993 or have a drive where I can stretch it's legs. It reminds me that I always lusted after one and would regret it if I sold it. I then wonder if a 997 GT3 would be the next logical step..and then imagine being in the 997 and seeing a 993 C4S driving past and I know which one I would prefer. Mine's already the second car and the XC90 does a much better job with 3 kids in the back. Maybe a third car is needed for when the wife has the family wagon and I don't fancy the 993. 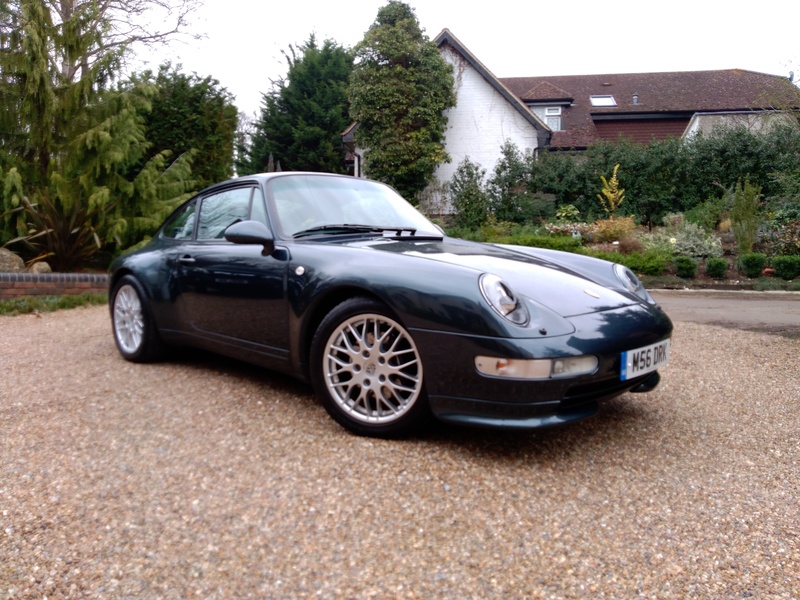 I know what you mean, I had two years of not driving my 993 as it sat stored. I've being driving it over the past few weeks and I really can;t think of another classic car I would rather have. They are simply gorgeous cars and the experience of running one, from the smell and sound of the engine to the experience of just having one is unreplaceable IMHO. Re steamed up windows..... A number of years ago a friend made a similar complaint of his 911, a SC. I suggested he just crack open one of the windows just a tad during the initial demisting process a to increase the airflow through the cabin which seemed to work well for him... it might work for you..
Getting mine back from where it’s been stored for the winter on Sunday, can’t wait, genuinely excited. What's on the shopping list?